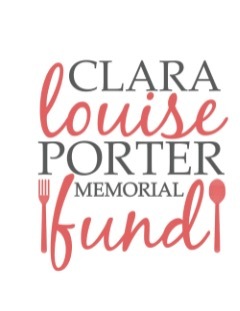 ​The Louise Fund Memorial Scholarship is for $2500 per person, for up to four students per year, payable to the recipients upon admittance into an accredited 2 or 4 year culinary/hospitality arts program. The Louise Fund will select each scholarship recipient according to his or her resourcefulness, current situation, talent and personality. Please include a resume, CV or bio with your application, including accolades like sports, extracurricular activities, volunteering and other outside interests. These questions might seem simple, but please don't give a simple answer. We're looking for some insight and some interest. Good luck and bon appetit! Please answer the following questions using as much space as necessary to best explain yourself. 1. Why do you want to pursue a career in a culinary or hospitality field? Where do you see yourself after culinary school? 2. Who or what is the biggest influence on your path to today? Who or what in your life led you to pursue a career in food or hospitality? 3. Tell us a funny personal story involving food, cooking, restaurants, hotels or travel. Make us laugh! Please email your scholarship application and any questions or concerns to Caroline Starry LeBlanc at thelouisefund@gmail.com by April 15th of the applicant's graduation year. Scholarship recipients will be announced no later than May 1st of each year. Thank you and best of luck! All who loved her know that my mom Clara would be absolutely delighted to help you on your journey.